Just inside the Lion Gate is a royal cemetery known as Grave Circle A. 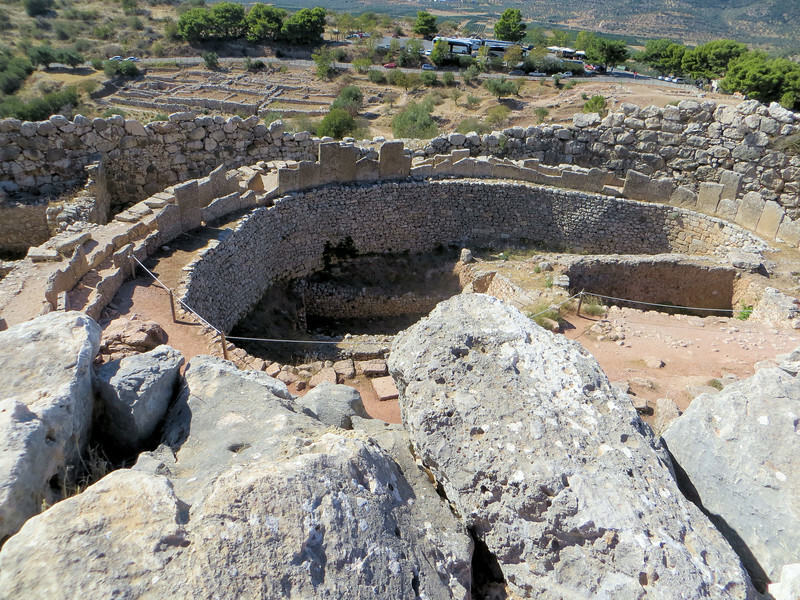 It was excavated in 1876 by Heinrich Schliemann, who came here convinced, from his readings of Homer and other sources, that he would find the grave of Agamemnon as well as much gold. He did find royal graves and many grave goods, including gold objects. Satisfied that he had achieved his goal, he worked here for only 15 weeks and then left. He was wrong about Agamemnon (the graves here are earlier than the time of his rule), but it was still a hugely significant find.